While you may have seen my Buzzfeed article on the 14 Indianapolis Companies to Watch in 2014, I'm switching things up. Check out these 14 amazing nonprofits right here in this wonderful city! Growing Places Indy was created to help cultivate the culture of urban agriculture and healthy lifestyles. According to their website: "Our vision is a full-circle vision for healthier communities, a sustainable future for urban and farm land ecology, a burgeoning local food economy, and a vibrant and diverse food culture in Indianapolis - all supported by and a strong local food and farm network." They're serious about making Indy green. One of my favorites on the list. Nine13Sports brings biking back to Indianapolis and straight into the lives of the youth in town. These guys get kids excited about biking; as their website says, it's their goal to narrow the gap between the “haves” and “have-nots” in bicycle experience, beginning with children, to encourage and teach the multi-faceted benefits that biking brings. Check out their website here to see more. People for Urban Progress -- or PUP -- bring a whole new level of cool to Indy. Focusing on fostering inventive and creative solutions around Indy, PUP brings out the innovation and forward-thinking needed to make this city as amazing as can be. "We make goods for Indy's good," they will say -- for instance, if you've seen bleacher seats around town, that was PUP. Learn more by checking out their website here! You've not lived in Indy until you've gone to at least one IndyFringe event! From summer film festivals to comedy shows to musical performances, IndyFringe brings wholesome entertainment to the community at their annual festivals and the IndyFringe Basile Theater downtown. Check out their facebook to see a list of events coming up in the future. And check out their website for more information! Give a hand to these guys! 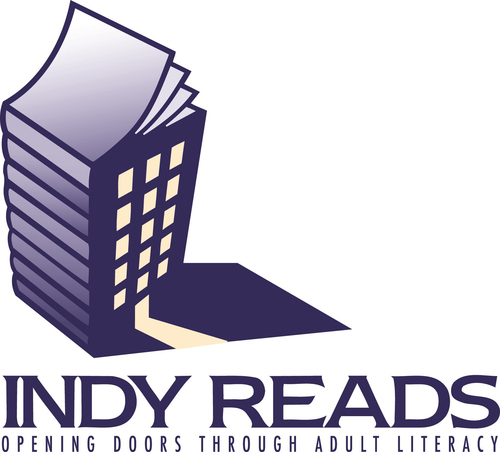 Indy Reads is out to help adults become literate thanks to the help of volunteers and loving people around the community. There to help illiterate, semi-illiterate, and ESL students, student teachers help foster the importance of reading while helping the community grow. Also, check out their bookstore! It's filled with donated books, and volunteers help keep the business running. Find out more about their amazing cause here. Big Car is all about revamping and rekindling the spirit of Indianapolis through art in public. When they're not helping out struggling businesses and beautifying public spaces in town, they're getting people engaged in creativity and transforming communities. Visit their website here and see what they've been doing! In an attempt to foster leadership skills and goal setting, Project Endure is an adventure into discovering self, capacity, sustainability and building the endurance to achieve. Thanks to these guys, Indy kids can explore the Rocky Mountains, the Utah Canyonlands, and other astounding places around the US. Sounds great, right? To learn more, check out their blogposts on their website here. I am loving all the art-related Indianapolis nonprofits on this list -- and this isn't even the last one! Art With A Heart is an organization providing visual arts experiences that educate and inspire at-risk children around Indy. Along with their annual Color Galas and outreach programs, Art With a Heart serves well over 1,200 youth each year through Honors art classes, after-school programs, Kindergarten classes and week long summer camps. Look at what they're doing on their website! Set on making Indianapolis a better place to live, this award-winning organization has made incredible progress in making this city beautiful. Going green, setting up recycling centers, and creating ways for people to waste less -- these are just a few of the things Keep Indianapolis Beautiful is doing! Since 1976, KIB has planted over 40,000 in the city and has made a large impact in every single neighborhood in town. Also one of my favorites: Dance Kaleidoscope is Indiana's longest dancing professional contemporary dance company and offers performances and arts education in Indy and on tour. Since its founding, Dance Kaleidoscope has seen substantial artistic growth and is celebrating their 42nd season this year. I've seen these guys practice and perform at Butler University -- they're absolutely amazing. Check out their performance dates and ticket prices here on their website! I mentioned these guys on my last article! Founded in 2011, Pattern is a non-profit staffed by volunteers that facilitates an inclusive, fashion-focused community and advocates on its behalf. Keep updated as writers and columnists build the Central Indiana fashion and Maker communities and showcase local talent. Want to learn more about Pattern? Click here. Exodus Refugee Immigration welcomes refugees here to Indiana and offers them a place to call home. According to their website, they "work to arrange housing, food and clothing, case management, as well as education, employment and health services for individuals and families starting out in their new lives." Being able to provide families with freedom and sanctuary here in Indy? That's amazing. Learn more about Exodus on their website here. Flight1 is a children's charity building confidence in those affected by serious illnesses through the magic of flight. 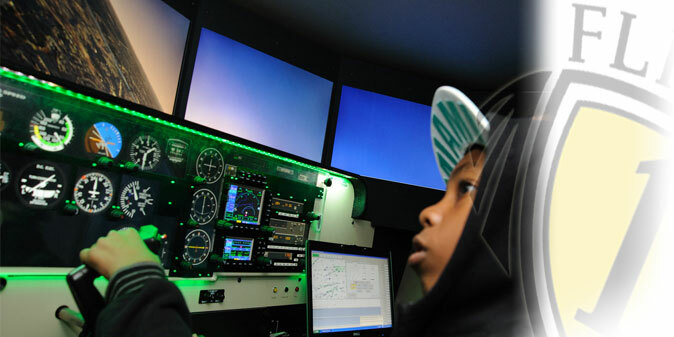 Fligh1's Courageous Fliers program puts kids at the pilot's seat and gives them a once in a lifetime chance to do something so cool: fly a plane! Simulators, logbooks, and actual flights happen thanks to this amazing nonprofit organization. Look at what they've done (and see some of the awesome pictures) on their website. 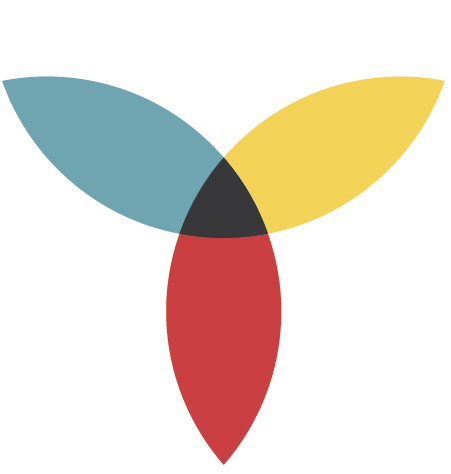 Primary Colours is an organization of volunteers dedicated to serving visual art and culture and connecting people in this awesome town of fledgling artists. When they're not hosting art events like Art vs. Art and Installation Nation, Primary Colours is out there to create and sustain a thriving environment for the visual arts in Indy!